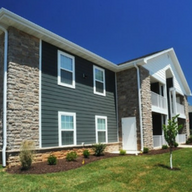 Fox River Estates is a rental community located in Willard, Missouri, made possible with Low Income Tax Credit Financing. 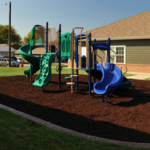 Fox River is designed for families, with large two and three-bedroom apartments, a community kitchen, business center, playground, and an activity room for parents and children. Thirty-eight units are restricted to households earning 60% of the Area Median Income or less, while the remining 10 units are for households earning up to 80% of the Area Median Income. These 10 units are designed for working families that struggle to make a living wage, but exceed the income 60% AMI income limitations at most affordable rental communities. These families now have access to new quality affordable housing.